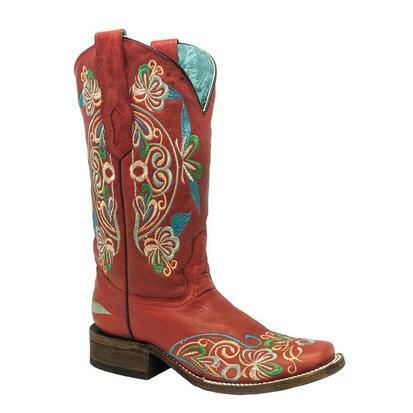 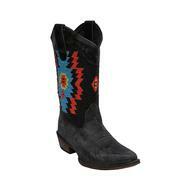 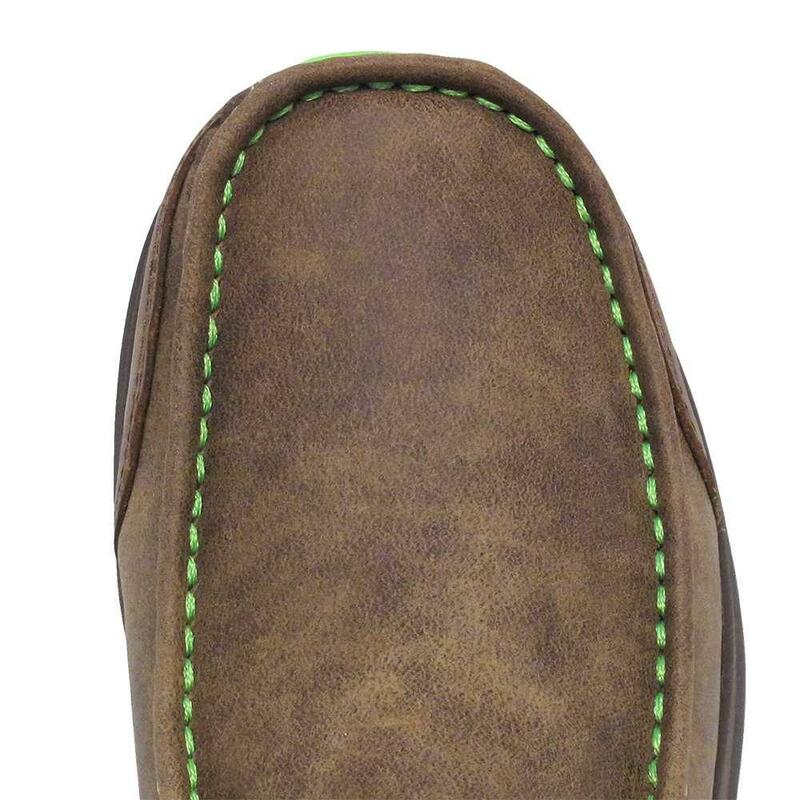 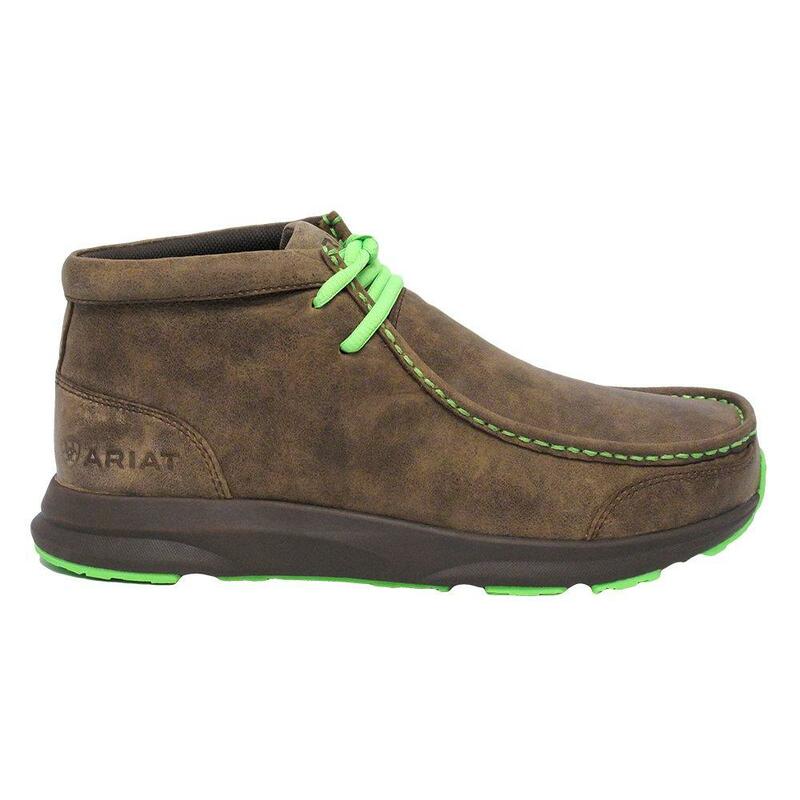 This boot by Ariat has a full grain leather upper. 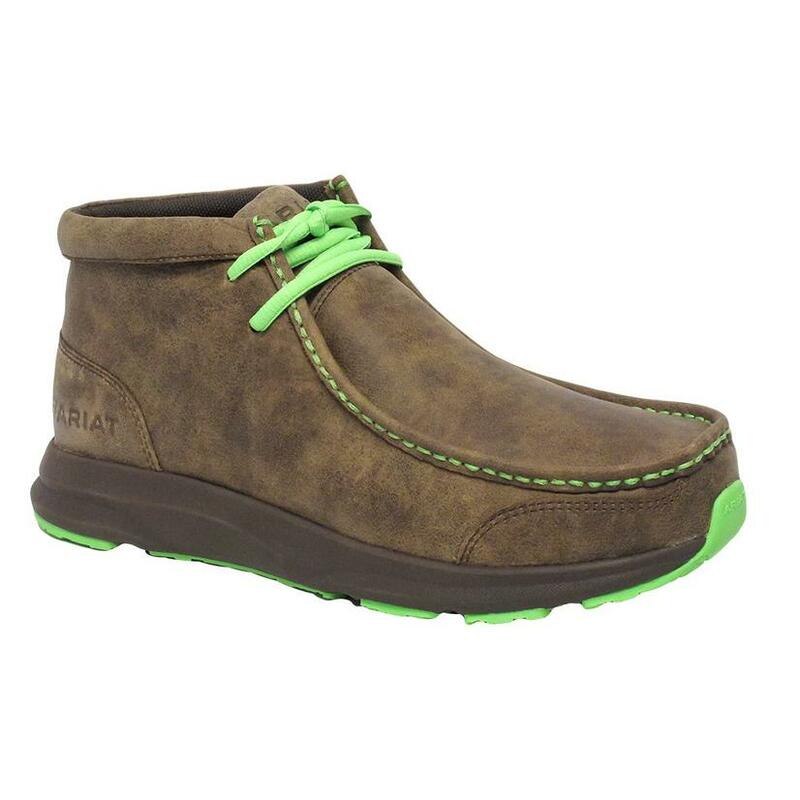 The EVA midsole on this shoe delivers lightweight, yet responsive cushioning for an ultimate experience. 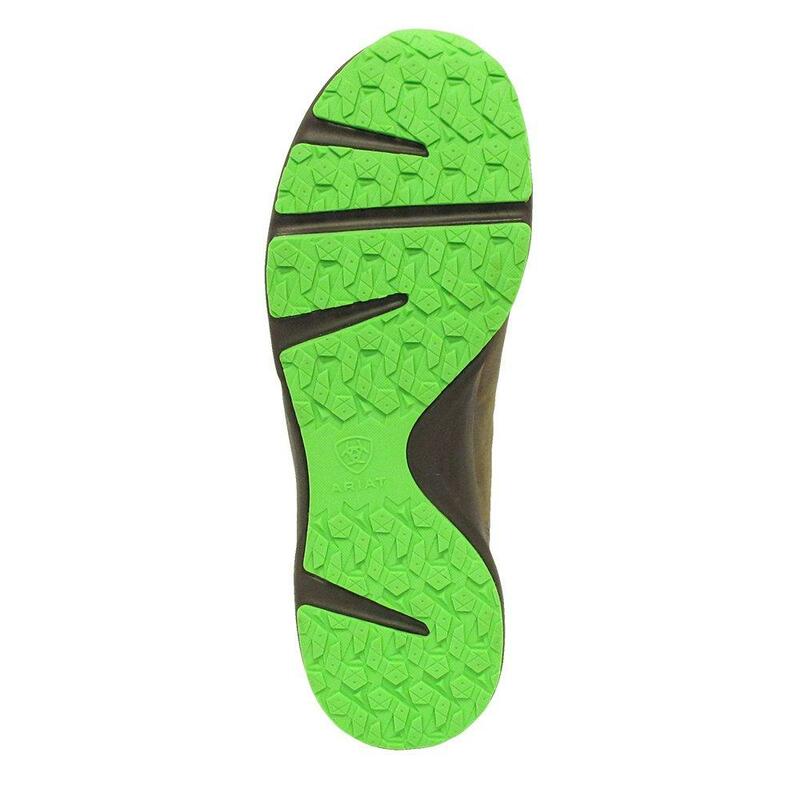 The rubber outsole offers multi directional tread and forefoot flex grooves for optimal traction and flexibility.